Although everyone starts skiing on the beginner slope, not everyone decides to push their skiing to the most difficult of challenges. But we know some people do. 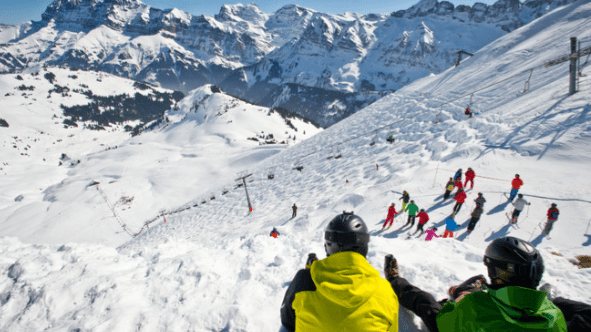 If a regular day of piste skiing does not excite you, we have a few ideas and challenges for those thrill-seeking skiers. And get that adrenaline going too! 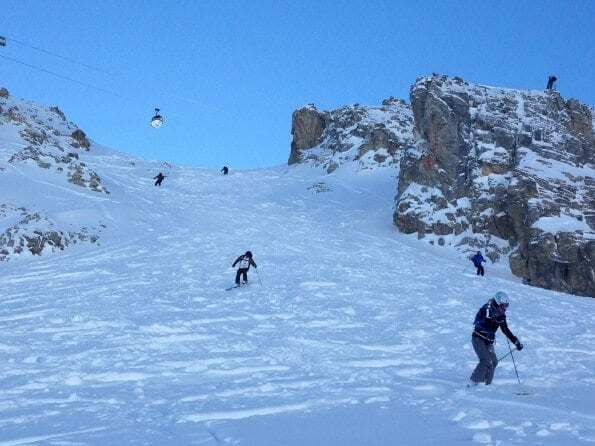 There is plenty of off-piste skiing in Courchevel and the Saulire couloirs are a particular favourite among the locals/seasonaires out here; they are a must in good conditions! The Courchevel couloirs can be seen from almost anywhere in Courchevel. They snake down to the right of the large Saulire gondola. The Grande Couloir is a wonderful pisted introduction to couloir skiing (though by no means gentle) and you can increase the difficulty by hiring a guide to show you the others. 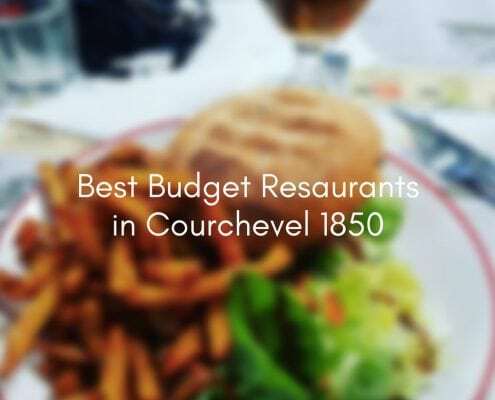 On turning right out of the Saulire you will see a 2-3m wide beaten track that slowly descends along the ridge between Courchevel and Meribel. There is a blackboard at the start of this track with snow conditions and warnings – be sure to check these before you start! The Swiss Wall, also known as ‘La Chavanette’, borders France and Switzerland. A sign atop the piste reads “for experts only”, and for those who know, this signage is apt for this most rapid descent. First views of this slope is akin to the feeling of your first rollercoaster ride as a child; looking over the brow and into the horizon, with butterflies filling your stomach and a slight hit of adrenalin to the system. It is said to be one of the steepest runs in Europe, and The Swiss Wall is neither for the faint-hearted, nor the intermediate skier fresh out of lessons. This run is for the adventurous, the lion-hearted thrill seeker looking for that next challenge to overcome. Keep in mind: This run is enormously fun with the right snow, but can also be rather hazardous with vehicle-sized moguls, and in icy conditions a fall must quickly be corrected to avoid injury. Tignes is an adrenaline junkies paradise for skiers seeking a thrill or adventure. 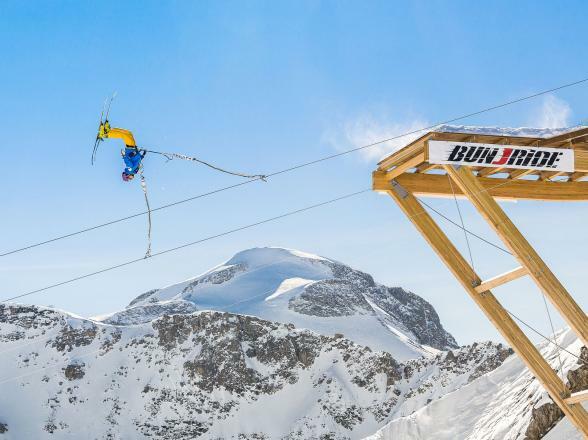 For those who can’t get a big enough adrenaline fix in the Tignes snowpark, venture over to the Bun-J-Ride, a ski jump/bungee jump/zip wire all rolled into one that’s sure to get the heart-rate pumping (next to the “Lac” ski run accessible from Grattalu or Merles chairlifts). 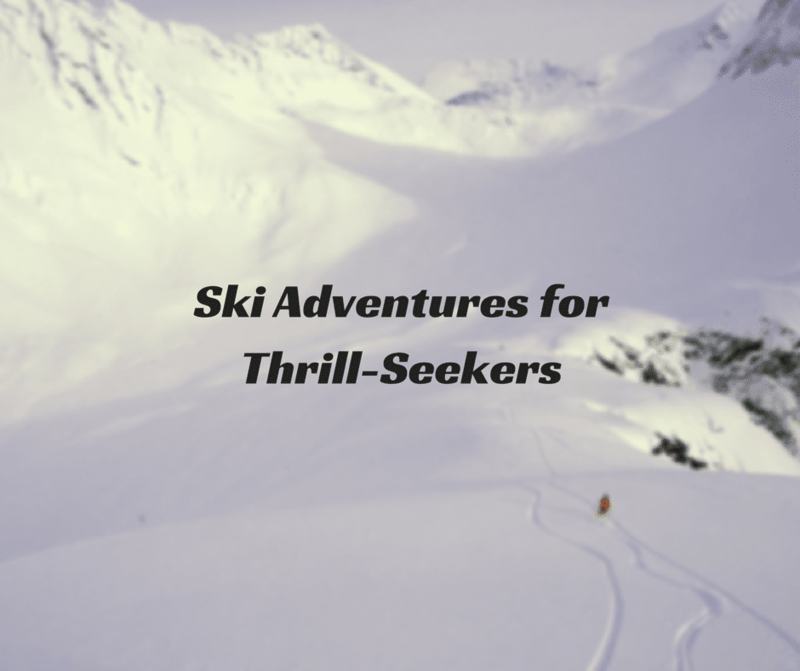 For those looking for a slightly more mellow adventure, there are plenty of amazing ski touring routes for a true mountain adventure away from the beaten tracks of the Tignes pistes. 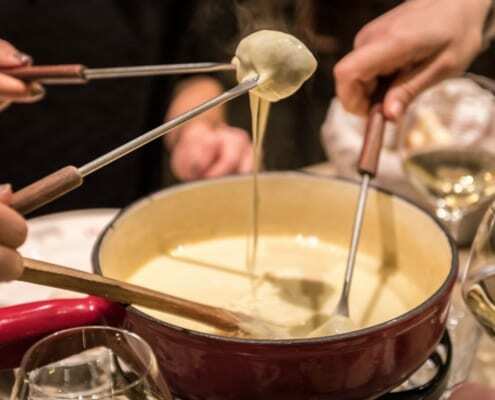 Hire one of our instructors to show you the hidden touring gems on offer in the Espace Killy. 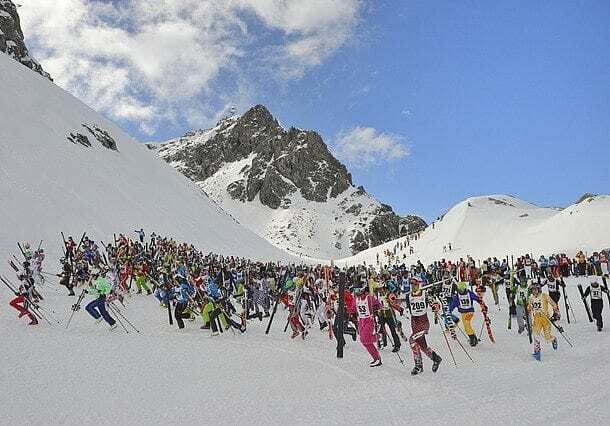 Every year at the end of April, once the lifts have closed for the day and before the piste bashers do their thing, 500+ men and women on skis and snowboards launch themselves in a mass start from the top of the Valluga 1 lift and head down towards St Anton. It’s known as the “Weiβe Rausch”, or “White Thrill”, and that is exactly what it is. A 9km race back down to the village via Valfagehrjoch, Ulmerhütte and Moos which the fastest skiiers complete in around 10 minutes, which includes an uphill section as well as the final couple of hundred metres on foot, carrying your equipment over mountains of snow! The route can be taken any time, without the uphill run (let the lift take the strain) or snow mountains, red 92 and 85 and on to blues 78, 56, 55 and 50 down to the foot of the Galzigbahn, look out for the symbols on the numbered piste markers. Step it up a notch and download the Ski Arlberg app through which you can track your time and be in with the chance to win prizes. Forget the gondolas and chairlifts in Val Thorens, you can take the Europe’s highest zip wire across the resort instead. Glide for nearly 2 minutes (1300m to be exact) on La Tyrolienne zip wire, through the air over the ski resort. 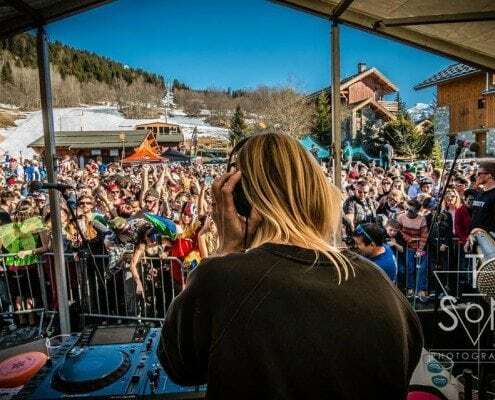 Located at the top of the Bouchet chairlift in the Orelle Valley, for €50 you can soar like a bird for the afternoon back into Val Thorens. If you’ve got a fear for heights we wouldn’t recommend this! What are your favourite ski challenges around the Alps? Share on Facebook and let us know.